Another exterior photo can be seen here courtesy Norrie Mcnamee. 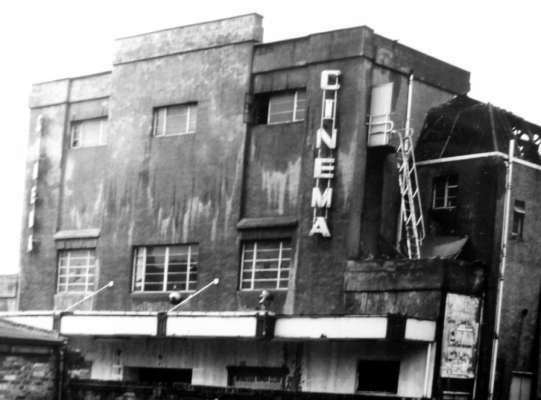 The Odeon Motherwell opened on Hogmanay 1938, designed by the cinema chain's house architects Andrew Mather, and originally sat 1,752. The exterior was covered in cream faience tiles, later replaced by render. 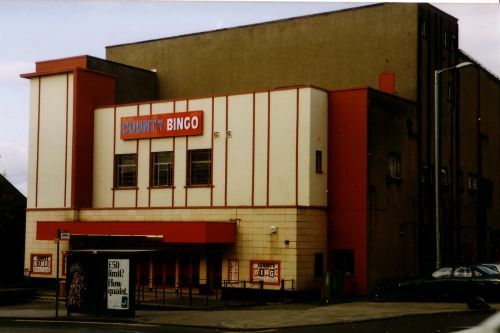 After closing as a cinema in 1975, the building was used as a bingo hall until demolition in 1995. In the interior picture, courtesy Janice Clark, taken when on bingo, note the octagonal Odeon clock on the RHS of the proscenium. 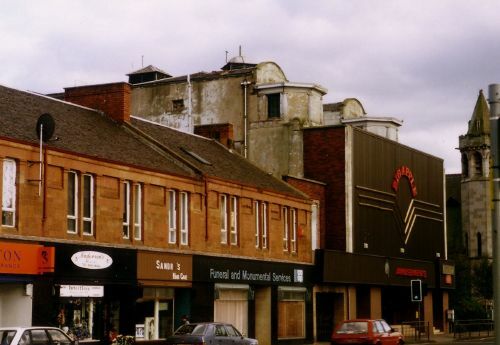 This was one of only 3 purpose-built circuit-style Odeon cinemas built in Scotland - the other two were at Hamilton (also now demolished) and Ayr (still open in 2008). Others Odeons had been planned for Bridgeton, Dumbarton, Falkirk, Partick, Springburn and Townhead, but these were never completed due to the start of the Second World War. The New Century Theatre opened as a variety hall in 1902, seating 1,500. 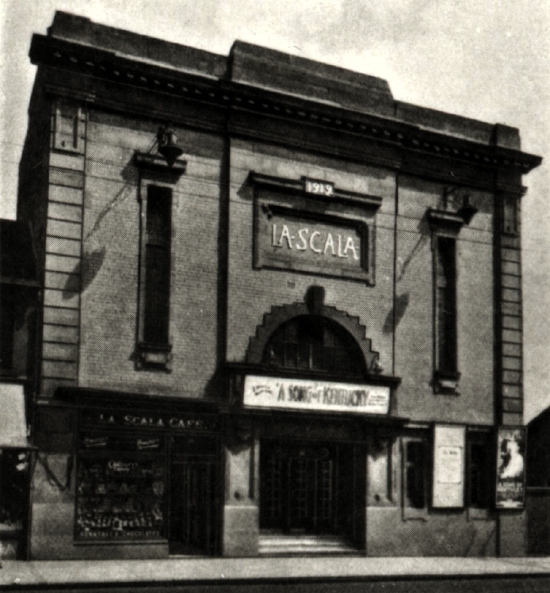 It became a shortlived cinema called the Motherwell Theatre from 1913-1915, before returning to its original name. 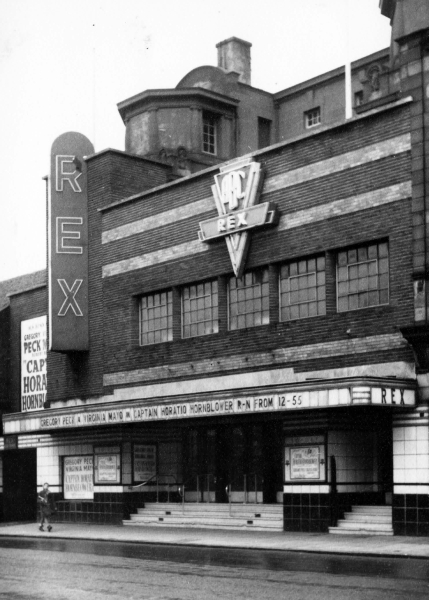 It closed in 1933 for rebuilding, and re-opened as the Rex cinema in 1936, with only the facade retained from the earlier building. It now seated 2,031. Closure came in 1976, after which it was used for first amusements, then as a nightclub and was finally demolished in 1995. Opened January 1911 as cinema. Gave up films for live theatre, 1917, with films brought back for summer seasons. Closed 1958. 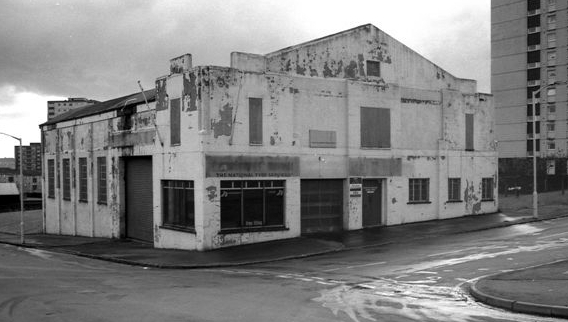 Converted to a garage; now demolished. Opened 1920 by SCVT, seating 930. Closed 1959. Demolished for supermarket. Photo courtesy of the Scottish Screen Archive. 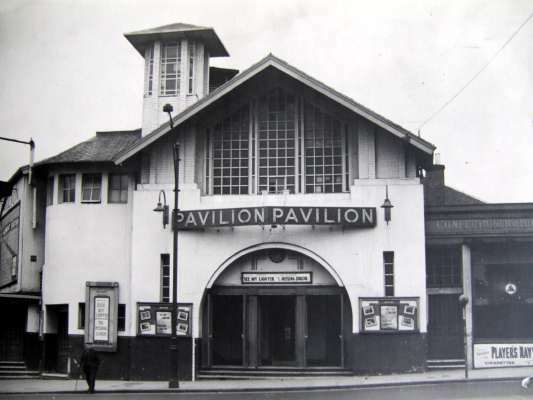 Opened in the late 1930s as replacement for burnt-out Alhambra. Flat Art Deco frontage. Demolished. o. 1913 by T. Ormiston in former variety theatre of 1900. s. 1,200. Sold to Gaumont, 3.28. Renamed Gaumont, 25.2.52. Cl. 15.8.59 for ballroom. Destroyed by fire, 5.63. Site cleared, 1966. Car park for adj. Odeon.